Learn to dance the Cajun Waltz, Two-Step, and Jig. 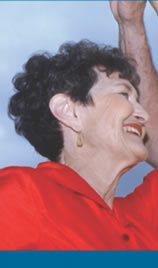 Dance Cajun has over twenty years of experience teaching Cajun dancing. We have lots of experience teaching students that claim to have two left feet. We're Authentic Cajuns, teaching the most enjoyable part of our Cajun Heritage. If you can walk you can learn to dance with our simplified, clearly described, and easy to follow instructions. We offer dance lessons to match your schedule and ability. 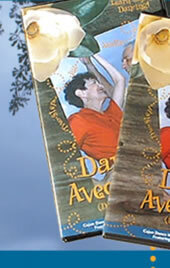 Our lessons are designed to be low stress and lots of fun. Thousands of our Dance Cajun students are Cajun dancing today both locally and across the country. Group lessons or personal lessons are available on demand. 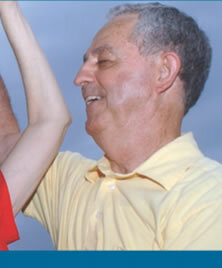 Cajun dance lessons with Cal & Lou is a good investment in fun for the rest of your life. 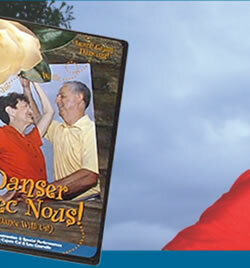 To order a copy of Danser Avec Nous! on DVD for $24.95 plus $3.00 shipping please mail a check to the address below. Please make check payable to Dance Cajun. We will ship upon receipt.